I’d bet dollars to donuts that there were sparks on the mill where this product was in contact with something during rolling. Scratches are detected visually and are caused by unintentional contact with build up on mechanical parts and mill components during rolling. Scratches typically have a more rounded bottom and less scale than a seam or crack. They can range from small, sharp indentations, to broad gouges with partially projecting edges. The metal that is displaced by the mechanical working often appears to be of an undetermined structure. This is usually referred to as a Bielby layer. 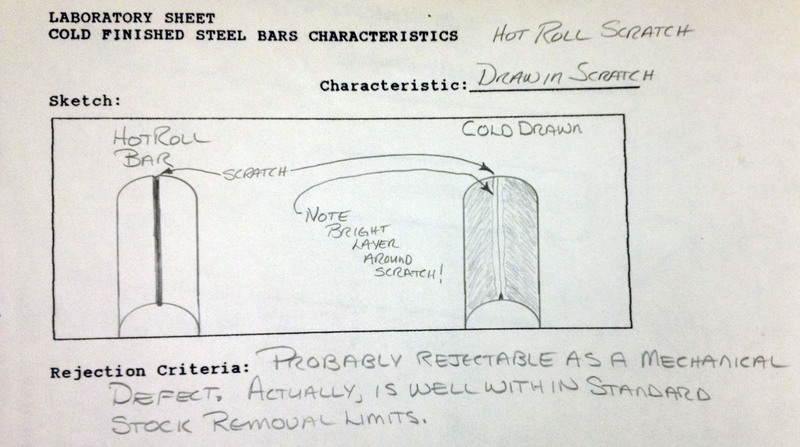 Hot roll scratches can ‘fill in’ during cold drawing as the drawing process displaces steel into the depression. The bright surface, lack of scale and lack of decarb under the metal so moved are evidence that the are beneath the displaced material was pickled or descaled and so the displacement ocurred during cold drawing and the scratch pre existed that operation. This metal can then flake off, (usually during straightening) prompting a call that the material has slivers. The correct identification remains scratch. A foreign object (wire) or material build up in the cold drawing die can result in a bright scratch on the resulting cold drawn bar. The sample that inspired this 1986 entry into my Lab Notebook was caused by the bar scratching on some build up on the mill’s exit table. While a scratch should be rejectable as a “mechanical defect” the fact is that most scratches seldom exceed the depth for minimum stock removal limits. Scratches are generally found on softer materials. Due to their larger radius, scratches seldom open up during upset or torsion tests. In my experience most mill hands will call any longitudinal imperfection a seam, so many times scratches are falsely described to be seams. 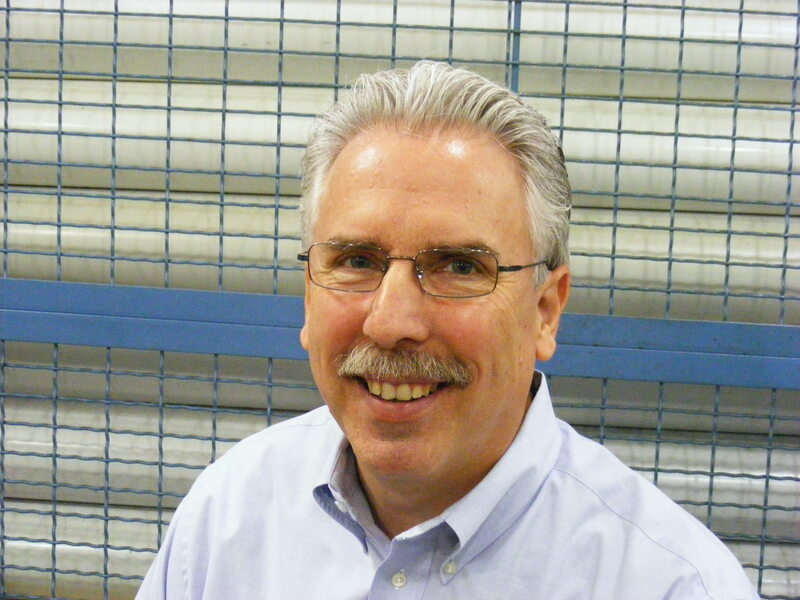 This entry was posted on Tuesday, June 12th, 2012 at 12:05 pm and is filed under Engineering, Shop Floor. You can follow any responses to this entry through the RSS 2.0 feed. You can leave a response, or trackback from your own site.